Phoenix ambient electronic project Lovesong’s first music video is a cool, creepy collage of broken baby dolls, disorienting flashes of light and flickering frame changes, and a dark, barely-linear soundscape loosely held together by sinewy snare drums, the persistent pulse and bleep of machines, and warbling keyboards. It’s quite good — especially for a band whose members are all deceased, according to their Facebook page. There’s a gothic mythology behind that, of course — entities are alive and working on the posthumous album, with seven songs presently posted on Lovesong’s Soundcloud page. Check out the video for “boy girl song” — courtesy of Lovesong’s GJ Lithgow, Julio Lopez (of Grandpa Muck), and Anthony Vandawalker — below. It’s the “et cetera” part that makes things really interesting. Because RPM Orchestra isn’t just an amalgamation of sounds frozen and forgotten in time – it’s mutable, living music that puts a spontaneous spin on archaic audio. Sort of like pop culture archeology on acid. 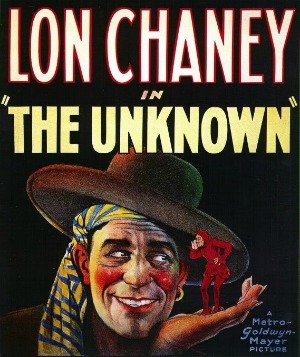 Case in point: RPM Orchestra’s live score to the 1927 silent film The Unknown, starring Lon Chaney and Joan Crawford, which showed at the FilmBar in Phoenix on Friday, October 14. I previewed this event in a “Cheap Dates Around the Valley” roundup blog, and true to their word, RPM Orchestra showed up with a plethora of pipes, whistles, horns, rattlers, pans and other assorted implements of percussion. Audience members were encouraged to participate, and were divided into three “toy instruments” sections and given cues.